Everyone must read this book irrespective of whether you agree with him or not. Not because it tells you about one of the greatest man ever lived but because it tells you what makes greatness. Gandhi is great man. becouse he contribute india independence. Moreover he action of independence is acocomplished no violence. gandhi`s key word is NO violence NO obedience. I started reading this because some one Facebook was posting a statement that Gandhi would have supported gun ownership rights in the US after the latest school shooting. I found this so outrageous that I got into a debate where the guy was posting quotes from his autobiography that meant that I couldn't adequately respond without first having read the book. I'm not sure I found the relevant quote but I'm very glad I read the book. I'm sorry to say that until I read this the only knowledge I had of Gandhi was from Richard Attenborough's 1982 bio pic. This was a great film but it leaves so much out. I had no idea how much time he had spent in both England and South Africa. The film started in South Africa but gives you the impression that this was a brief visit, however the book makes it clear that his last time in South Africa was for something like ten years. Before that he's been to South Africa on a number of occasions fighting for racial equality and he spent three years in London studying for his law degree. There is a lot in here about his development of ideas such as non violence and passive resistance as well as his thoughts on vegetarianism and health issues. You get a really good idea of him as a political campaigner both as a lawyer and running newspapers. There is also a lot about his efforts to set up various communes and communities. The only weakness of the book is that it's quite hard to follow the names of people and places as well as the non English terms. Someone has made an attempt to add clarification the text but it's simply not possible with every non English term. It is possible to look them us as you go (most of them have useful pages on Wikipedia that explain them) but after a while it's a bit difficult to keep track of. An Amazing life story of an amazing man. The guts shows in the work. He spares none. All aspects of his life is out there for anyone to read. If anyone writes autobiography this how it should be. Otherwise there is no point in writing an autobiography. Gandhi shows us the truth of life must be open to the world to experience the truth. He would have had trouble adjusting to the modern movement for women's rights!! Story of what one man can do without violence. He was a great man, very disciplined and focused in all things. It was very interesting getting an insight into this culture too. It was a worthwhile read with some tedious parts. One of the most studied and revered protesters, Gandhi in his own words, is truly inspiring. Not the world's most fascinating read, but certainly a fascinating man. Not riveting, but an important part of my library and education. A personal account of Ghandi's early years in South Africa and hos path to non-violence. A bit of an odd duck but truly sincere. Rather long-winded and preachy - much like the man, I imagine. This book is quaint. He has written the book in a rather simplistic style. He does give some insight into his development, and focusses a lot on his eccentricities. For some reason, he does not write much about his thoughts and feelings concerning the age of the times, and how he got to where he was. Extremely interesting view of the growth and spiritual development of one of the most illuminating figures of the last century. Covers a wide variety of topics. A shame that it only ends in the 1920s (but what autobiography could ever be called complete? ), but it is still a fascinating portrait of the man. Gandhi had a profound effect on history. As such, I thought reading his autobiography a must. I knew I had a lot of disagreements with what he believed, big and small, but his attitude as alluded to in his title disarmed me at first. He writes that "far from claiming finality or infallibility" truth is something he believes we seek and learn by testing. At first I found him likeable and admirable. I felt for his struggles with shyness and public speaking. But my respect for his views and my liking for him eroded over the course of his autobiography. I felt his family and especially his wife had a lot to put up with by his own account. And so much of the autobiography was taken up with frankly crackpot notions. Even he calls himself a "crank" at one point and refers to his practice of "quack medicine." That may have been meant ironically but I thought it fit. Long, dull stretches of the narrative were taken up with details of diet and hygiene. I must have read this book at least fifteen years ago. This is a great book written by one of the greatest leader of the modern world--Mahatma Gandhi. If you wish to know who Gandhi was, you have no other book like this. I hate to harsh on Gandhi, but this is just interminable. 200 pages in, and most of it has been details of his dietary regimen. I guess this was all integral to the way he lived and how he managed to have the discipline and strength to do what he did, but it’s not very widely applicable or interesting to read. And he skips right over the very stuff I most wanted to learn about, like the story of the Satyagraha movement in South Africa. Frankly, there are just points at which this book gets annoying. 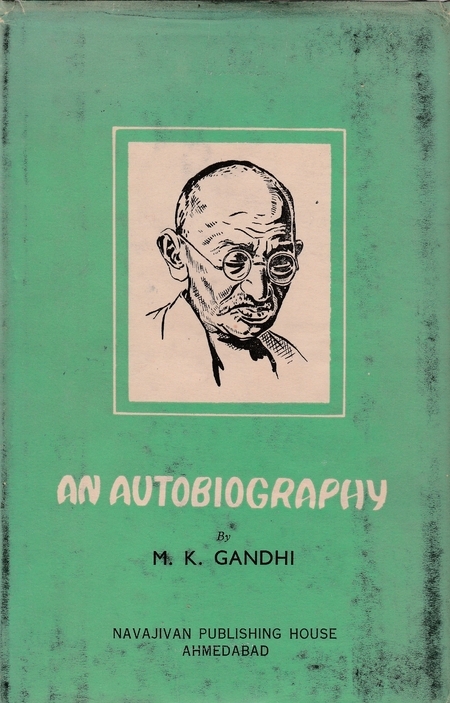 It is not an autobiography in a typical sense; there frequently isn't enough background information provided for the reader to understand the context of events that Gandhi narrates without referencing some other text (or multiple texts). Gandhi himself often comes across as ridiculously puritanical or irritatingly simple and trusting. Both the trustingness and puritanism are integral parts of his philosophy, and I'm not criticizing them as such necessarily, but it does get pretty annoying to read 500 pages of it at times.